You can never be too prepared when it comes to planning a road trip. Make sure your trip is as enjoyable as it can be by applying some simple safety tips before heading out on the road. There are many things you can do so that both you and your RV are ready for what the adventure entails. Ready…set…plan! Whether you want to take the scenic route, avoid paying tolls, or use the quickest arrival option are questions to determine stopping points and the places you plan to stay along the way. Consider the time of year; for example, winter road trips are best done in the south, but summer trips are more flexible. This outlines how far you’ll drive each day, roadside attractions you want to see, and the time you’ll arrive at your destinations. Leave plenty of time for fun stops so you to stretch your legs and sightsee along the way. You won’t want to feel rushed. This will determine how often you’ll eat out, what groceries to buy, and how much money to put into an emergency fund if something expensive breaks. A budget also allows for regulating which campgrounds you can afford to stay at throughout the route. Running out of money means the end of your trip, and you don’t want to have to cut your trip short prematurely. 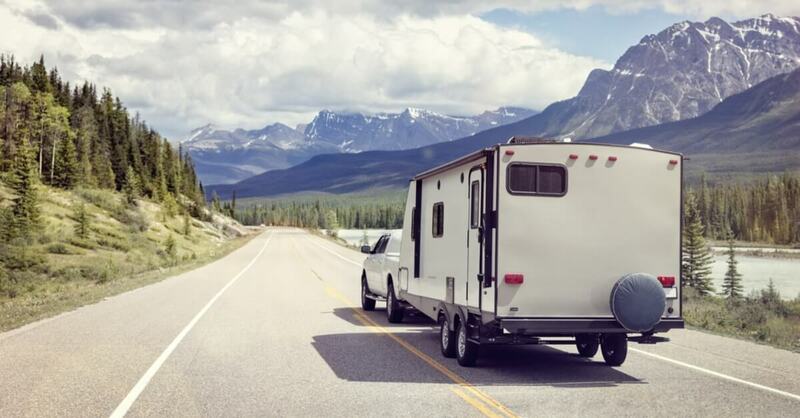 It’s crucial to have RV Insurance on a long trip to be sure your rig, and everything in it, is safe in case of an accident. We can add an RV to your current policy so you are protected and can have peace of mind to enjoy your trip. An RV isn’t built to run all appliances simultaneously. Label your appliances with the number of amps they draw to stay aware of your power usage. This allows preparation of situations like if you can’t run the air conditioner while using the stove. A system like this keeps the RV running safely. Don’t procrastinate. Spread it out over a week, tackling a new area each day. For example, move from handling entertainment items one day to kitchen supplies the next. If you leave it until the last minute and pack everything at once, you’re more likely to forget something important. A road bump or sharp turn can create a huge issue if your items aren’t secured. Consider securing RV cabinets with childproof locks. They have been found to work well and are relatively inexpensive. You should also plan ahead for any other loose, heavy items in your RV and how they would move in the event of an unexpected maneuver. Coordinate your packing with the legal weight of the RV. Weigh your RV at a commercial truck weigh station after you’re packed. If you’re over the limit, unload what you don’t need until you even out. An easy way to reduce excess weight is to get water and fuel at each stop, instead of storing it on the RV. Check weather conditions on the day you leave for the RV trip, and make any needed adjustments to your route and timeline. Do a quick check each day before hitting the road to avoid dangerous conditions. A trip is not worth your life.